RMU Electric Crews will be replacing underground service on BeeBe Drive, Corey Lane and Carriage Drive beginning Monday November 13th. Please seer clear of any equipment in the area. A boil order has been issued for the 300 Block of Route 38, Crest Lane, Knoll, Ridge and Springdale. The order will last for a minimum of 24 hours. Affected residents will have a door hanger placed at their home. Boil Order Lifted: Sunset Terr., 14th, Highland, Scott Ave.
As of Friday May 19th, the boil orders for Sunset Terrace, North 14th Street, Scott Avenue and Highland Avenue have been lifted. We are continuing boil orders for 1101-1353 Sunset Terrace and 14th Street; 1416, 1420 and 1425 Highland; 1122 to 1146 N 14th Street; and 1102-1301 Scott Avenue. These boil orders are in effect through Friday or until further notice. While a main break is being repaired in the vicinity, residents on North 14th Street and Sunset Terrace are without water service today (5/17). We apologize for the inconvenience. 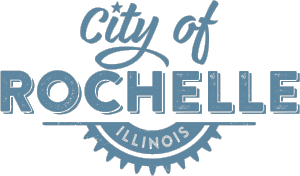 A precautionary boil order has been issued for Sunset Terrace in Rochelle due to a water main break. The order is in effect through Wednesday. RMU crews have been dispatched to correct a water main break in the 1400 block of Crest Lane this morning.